Major political parties: Lesotho Congress for Democracy (LCD), Lesotho People’s Congress (LPC), Basotho Congress Party (BCP), Basotho National Party (BNP), Basotho African Congress (BAC), All Basotho Convention (ABC), Basotho Democratic National Party (BNDP). Membership of international groupings/organisations: African Union (AU), Commonwealth, Southern African Customs Union (SACU), Southern African Development Community (SADC). 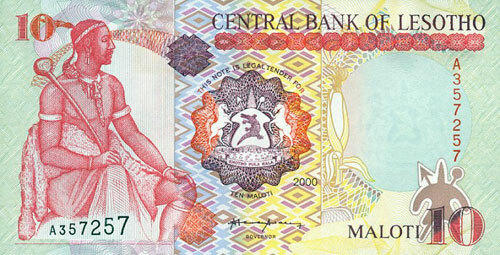 Exchange rate: The Loti is pegged at par to the South African rand. £1 = 11.6 loti (February 2011). Lesotho is a low-income country with an economy that is inseparably linked to South Africa. Its main natural resource is water which it exports to South Africa. Lesotho is self-sufficient in electrical power for two-thirds of the year, but imports electricity from South Africa during the winter. There is potential to further develop tourism in the Highlands. The Letseng diamond mine has produced three of the world’s twenty largest recorded diamonds: the 603 carat Lesotho Promise, recovered in August 2006, which sold for $12.4m; the 493 carat Letseng Legacy, recovered in September 2007 which sold for $10.4m; and the 478 carat Light of Letseng, recovered in September 2008, which sold for $18.4M. A 196 rough white carat diamond of the highest quality was discovered in September 2010. Letseng has the capacity to provide up to 20% of Lesotho’s GDP. Lesotho has taken a strong stand against corruption, prosecuting several international contracting firms involved in the Lesotho Highlands Water Project (LHWP) for alleged bribery. Traditionally, Basotho men work in the South African gold and coal mining industries, but this source of employment has all but dried up, with the consequent loss of remittances impacting on the economy. The sale of water, receipts from SACU and the manufacture of textiles provide much of Lesotho’s income. Even these receipts have declined in recent years due to changes in the SACU agreement and liberalisation of trade between Southern Africa and Europe. Unemployment remains high (estimated to be over 50%). The garment industry is a significant employer and revenue earner. Lesotho remains the largest sub-Saharan exporter of garments to the US under the Africa Growth and Opportunity Act (AGOA). The kingdom was founded by an exceptional 19th century leader confronting Boer encroachment onto Basotho grazing lands from one direction, and violent population upheavals precipitated by the military rise of Shaka Zulu in Natal from another. Moshoeshoe, then a minor chief, initially led his people to a mountain refuge where they established a new settlement; subsequently he established a policy of affording haven to refugees willing to help with defence. In 1824 he shifted his headquarters to a more easily defensible hilltop called Thaba-Bosiu. From the 1830s onwards, Moshoeshoe I began to welcome Christian missionaries into his newly established kingdom as potential allies. Under Moshoeshoe I the Basotho - who had adopted horses and guns from their erstwhile opponents - inflicted some sharp defeats on their European enemies. But in 1868 the king felt obliged to seek British protection from Boer encroachments. 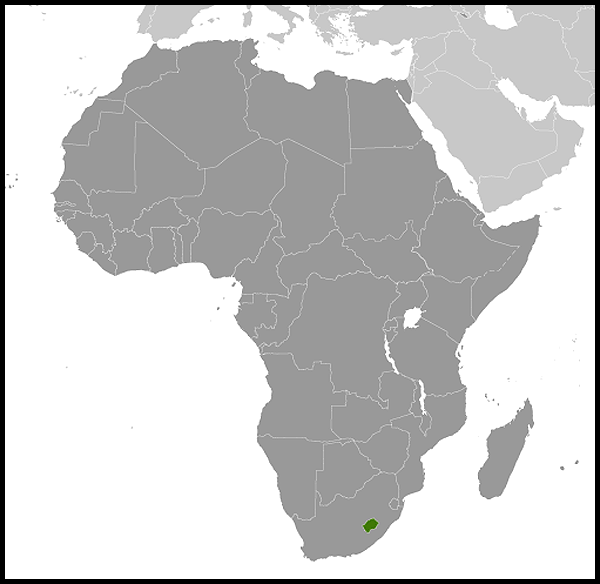 The Kingdom of Lesotho (previously the Basutoland Protectorate) became independent on 4 October 1966 as a constitutional monarchy with a Parliament elected by universal suffrage. The Prime Minister at independence was Chief Jonathan of the Basotho National Party (BNP). At the first post-independence elections in 1970, Chief Jonathan, anticipating defeat by the opposition Basutoland Congress Party (BCP), declared a state of emergency and suspended the constitution. He was overthrown in a military coup in 1986. A Military Council ruled Lesotho until a General Election was again held in March 1993, when all seats were won by the BCP. However against the background of unrest in the armed forces the constitution was suspended and parliament dissolved for several months in the next year. King Moshoeshoe II, who had been dethroned by the Military Council in 1990, returned to the throne from exile in the UK in January 1995. A year later he was killed in a car accident. On the advice of the College of Chiefs, King Letsie, who had reigned during his father’s exile, succeeded him. Lesotho is a land-locked country and is completely surrounded by the Republic of South Africa. There are close political, cultural and economic links between the two countries and a Joint Bilateral Commission on Co-operation to handle practical matters. There are long historical links between the UK and Lesotho. Several hundred British citizens live and work in Lesotho. Relations remain strong, despite the closure of the British High Commission in 2005. There are a number of British NGOs operating in Lesotho. There are special links with Wales (Dolen Cymru) and Durham (the Lesotho/Durham Link); and in October 2008 the Foreign Secretary visited Wales, as part of his ‘Bringing Foreign Policy Home’ initiative, and took part in a video-link between a Welsh comprehensive school and a secondary school in Lesotho. HRH Prince Harry and Prince Seeiso of Lesotho are joint patrons of Sentebale, a charity supporting orphans and vulnerable young children in Lesotho. It is a associated with a special fund set up with the British Red Cross for HIV/AIDS affected orphans and vulnerable children in the country. HRH Prince Harry has made several private visits in recent years, including a visit in June 2010 with HRH Prince William. The Lesotho Prime Minister, Pakalitha Mosisili, met Lord Malloch-Brown, then Minister for Africa, during a visit to the UK in July 2008. Foreign Minister Mohlabi Tsekoa also met Lord Malloch-Brown during a visit to the UK in April 2009. Queen 'Masenate Mohato Seeiso visited the UK in October 2010 as part of Dolen Cymru’s 25th anniversary celebrations. The British High Commission in Maseru closed in August 2005. Representation is now provided from the British High Commission in Pretoria. The non-resident Deputy High Commissioner to Lesotho, based in Pretoria, visits the country at least once a quarter. The Department for International Development has a Country Representative based in the Irish Embassy in Maseru. Lesotho is a small mountainous country situated towards the east of the Republic of South Africa and entirely encircled by it. There are two main mountain ranges: the Drakensburg, which has the highest mountain in southern Africa, and the Maluti. The capital, Maseru, is situated in the lowlands in the west of the country where most of the arable land and 70% of the population are concentrated: only 13% of the country is cultivable and population pressure is acute. The climate is temperate, with well-marked seasons. But the climate in the eastern half of the country is bleak. Snow falls frequently in the highlands during the winter. Hail storms can occur in all regions during the summer. The value of direct British exports to Lesotho in 2009 was £1.9 million. The value of direct British imports from Lesotho was £0.25 million. British goods exported to South Africa also find their way in to Lesotho. Though recently reclassified as a Lower Middle Income Country, Lesotho remains a poor country with significant poverty-related problems. Over half of the population lives on less than $2 a day, with some 43% living below the international poverty line (as of 2007). The country is also suffering from the global economic downturn through reduced exports, lower remittances and declining revenues from the Southern Africa Customs Union. Lesotho has the third-highest HIV prevalence rate in the world, amounting to 23.6% of the population in 2010. Since its first reported case of AIDS in 1986, Lesotho has struggled to take effective action due to the country’s financial and infrastructural limitations. Though some positive steps have been taken, including initiatives such as offering free HIV tests and the launch in 2005 of a community network to support people living with HIV/AIDS, significant challenges remain. Among the recent programmes the Department for International Development (DFID) has helped fund is the Apparel Lesotho Alliance to Fight AIDS (ALAFA). Launched in May 2006, ALAFA provides prevention and treatment for the more than 40,000 mainly women Basotho workers in the textile and apparel industry, one third of whom are estimated to be infected with HIV. This will reduce the impact of HIV/AIDS on workers and ensure the largest employer in Lesotho remains competitive, protecting the livelihoods of the roughly 200,000 people dependent on these workers. The UK is one of the biggest donors to Lesotho and DFID has allocated some £3.7 million in assistance for 2009/2010. Lesotho also benefits from some of DFID’s regional programmes in Southern Africa and gets further support through multilateral channels. In addition to the work the UK is doing to help Lesotho fight HIV/AIDS, we are also working with development partners to improve financial management and create more jobs by making Lesotho a better place to do business. DFID has a Country Representative based in the Irish Embassy, in Maseru. Party politics have been fractious and unstable. In 1997 the BCP split and the Lesotho Congress for Democracy (LCD) was created which included the Prime Minister and his Cabinet: the BCP then formed the parliamentary opposition. At the May 1998 general election, the LCD won 65% of the votes and secured 79 of the 80 seats. Opposition parties alleged fraud, although international observers judged the poll to have been free and fair. 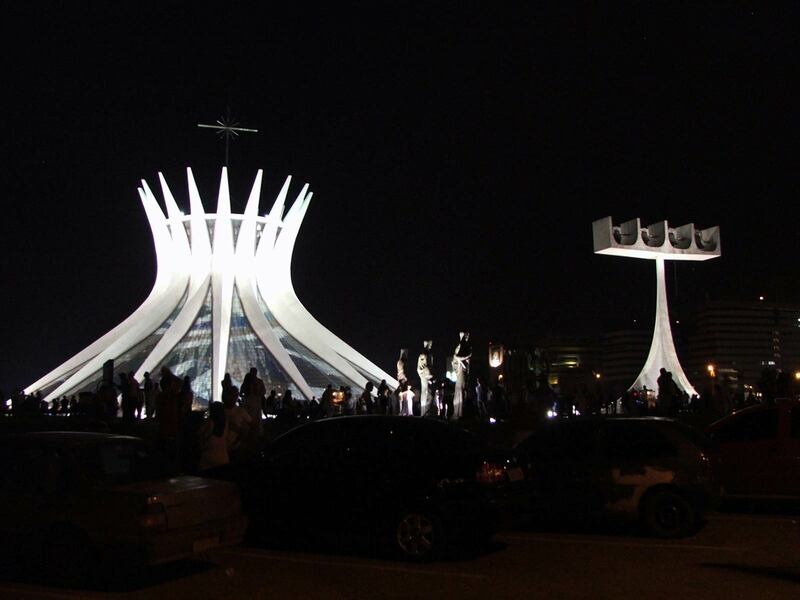 Civil disorder broke out in August 1998. Many people lost their lives as the main towns were burned and looted. A Southern African Development Community (SADC) peacekeeping force entered Lesotho in September 1998 and remained until April 1999. An Interim Political Authority (IPA) comprising of two representatives from each of the 12 political parties was set up in October 1998 to review the electoral system and prepare for new general elections. The IPA modified the electoral system to create a combination of simple majority voting and proportional representation. Now, 80 parliamentary seats are elected by simple majority (first past the post) vote and 40 are elected by proportional representation. The Senate has 33 Senators, 22 traditional Chiefs and 11 appointed Senators. Elections in May 2002 returned the LCD to power. Teams of observers sent by SADC and the Commonwealth declared them to be free and fair. A general election in February 2007 resulted in another victory for the LCD, winning 62 of Parliament’s 120 directly elected and proportional seats, with its alliance partner, the National Independent Party (NIP) winning 21. The All Basotho Convention (ABC), which fared much better than other opposition parties in recent years winning 17 seats, helped to organise a 3-day strike in protest at the allocation of proportional parliamentary seats. SADC stepped in to mediate amidst tension between the opposition and the Government. Following a lack of progress, the process was handed over to a local church-led mediation team, who have been engaging with both parties for more than a year. The process remains inconclusive. 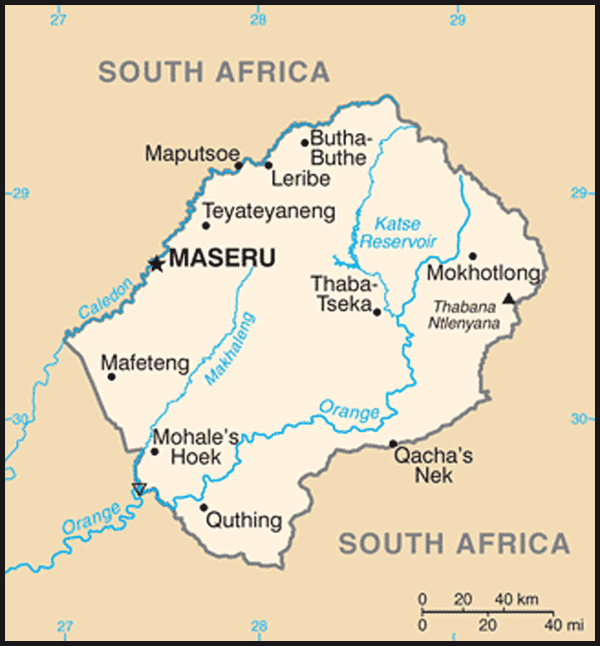 Lesotho’s first local government elections were held in April 2005. Voter turnout - just over 30% - was poor. Although generally accepted to have been free and fair, opposition parties accused the ruling LCD, which took the majority of council seats, of disadvantaging them through the introduction of a 30% quota for female candidates. This, however, was the target set by the SADC principles for the participation of women in politics and, in a landmark ruling in July 2005, the Lesotho Court of Appeal upheld the country’s gender quota. Local elections were due in 2010, but have been postponed until 2011 due to disagreements over the reduction of seats. On 22 April 2009 gunmen attacked State House in Maseru in an apparent assassination attempt on Prime Minister Mosisili. The Prime Minister was unharmed. The trial of a number of suspects apprehended in both Lesotho and South Africa the aftermath of the attack has yet to take place due to ongoing extradition requests. Lesotho is a signatory to the six principal international human rights treaties. It retains the death penalty on the statute book, although there has been a de facto moratorium on executions since the 1990s. The UK regularly lobbies the government to abolish the death penalty. The government has a generally good human rights record though there are increasing incidents of police brutality. Domestic and international non-governmental organisations operate in Lesotho without restriction, and publish their reports openly. The media is mainly free and independent, but communications legislation has been used to muzzle dissenting opinion, as in the case of Harvest FM, in 2008. The Ministry of Justice is taking steps to address the main areas of the criminal justice sector that require attention, such as prison overcrowding and lengthy waits for cases to go to trial. Lesotho is currently struggling with a large influx of illegal small arms coming in from South Africa. Criminals trafficking in cannabis (known locally as dagga) are the main culprits in illegal firearms’ acquisition. Cannabis cultivation provides significant earnings to subsistence farmers.